Getting married is such an exciting time in your life and attention to detail is so important. One decision that has to be made is which celebrant to choose? My name is Dave Thelander and being a Civil Marriage Celebrant is very rewarding, not only because of the interesting people that I meet but also because of the uplifting nature of seeing two people in love, embarking on a life long journey together. My history of public speaking enables me to find the special words that make a ceremony unique. Every ceremony that I create is different and reflects the personalities of the couple to marry. Whether you prefer a simple ceremony or one that is more elaborate, I will assist you by providing you with a selection of examples and together, with any ideas you may have, I will formulate a very unique and memorable ceremony for you. Apart from the formal part, your ceremony can be as fun and as light hearted as you like. You decide! If you have many guests then I will provide a P.A. system so that the entire gathering will be able to hear clearly and fully appreciate the proceedings. The very first step is the completion of a form called the Notice of Intended Marriage. Naturally I will guide you through this and any other aspect that you require assistance with. My role is to assist you and to simplify every step so that you feel relaxed and confident that your day will be a complete success in every way. I would love to meet you to discuss your dreams and ideas for your big day. Please feel free to contact me anytime. 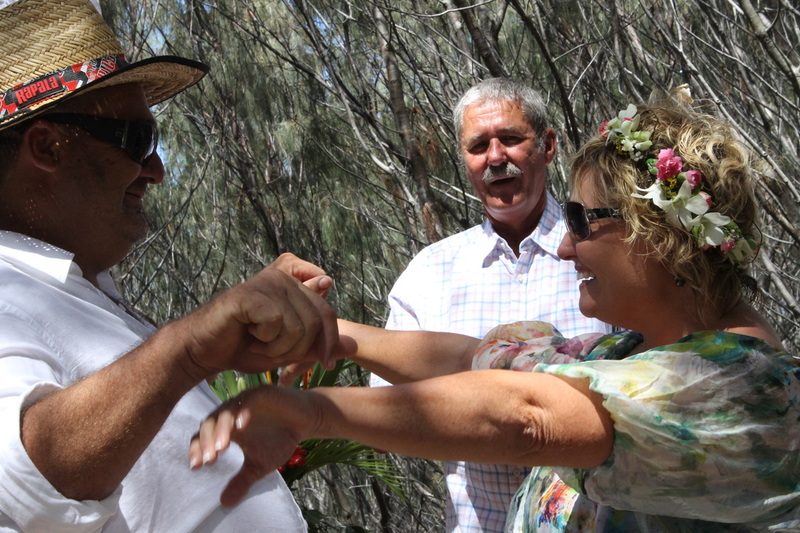 Vow Renewals: North Stradbroke Island is the most perfect place for vowel renewals because this Island Paradise has a place everyone can call there very own. Couples often decide to renew their vows to celebrate a 10th, 25th or even 50th wedding anniversary. These are seen by many as “landmarks” in their lives and worthy of celebration. It is also a great reason for them to bring their families and friends together to join in on the “celebration”. Together, with your ideas, I will help you to formulate a ceremony that reflects not only your feelings for one another but also includes the moments in time that are most memorable to you and your family..
Baby Naming: Naming ceremonies are appropriate for anyone, at any age. The arrival of a new baby, uniting of step or adopted children within a family, or an adult name change are all great reasons to hold a naming ceremony. I can help you put together a ceremony that includes family and friends to make this occasion as special as it deserves to be. Parents may choose godparents or mentors or guardians for their children and this can be incorporated into the ceremony. Let's put together our ideas to make your child’s ceremony unique, for example poems and readings and special rituals, all of which I can help you with. Commitment Ceremony: Commitment is an opportunity to deepen your love and wisdom. If you decide to dedicate your intention and love to strengthening the foundation of your llifestyle, it will not only withstand the difficult times but become a deeply nourishing and lasting relationship. You will turn towards the challenge and embrace it as an opportunity for your individual and mutual growth. This ceremony is ideal for anyone in any loving and committed relationship. A Commitment Ceremony will provide an opportunity for you to announce your feelings to each other with the love and support of those with whom you share your lives. If this is for you, let me help you to compose a ceremony that acknowledges and celebrates your union with information provided by you to make it a very personal occasion. 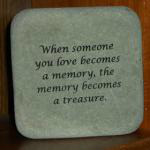 Funerals: Planning a wonderful and fitting funeral or memorial service for a loved one, is an art. It is often daunting for family and friends, especially when each person is dealing with their own grief. But generally, there is one thing family and friends have in common - they want a personal, fitting and professional service for their loved one. That’s where I would like to sit down with you to discuss the proceedings and put together a professional Funeral Service. Memorial Service: Whether it is a person, a past event or any significant occasion, we all want to remember. I can design a ceremony that will embrace the full meaning of your occasion in a sincere and dignified way and which will be made unique by your own personal contribution.